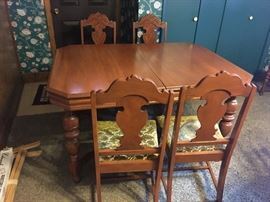 Antique Buffet (matching table and chairs available). Excellent Condition. 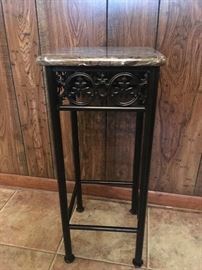 Antique table with 2 leaves for expansion. Five matching chairs. 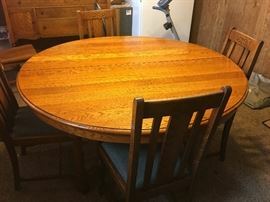 Antique Solid Oak table with four chairs. 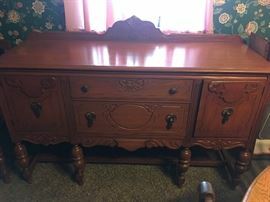 Antique solid oak buffet. Excellent condition. 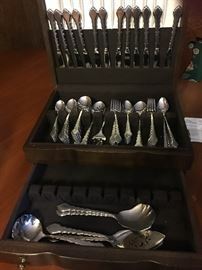 Chatelain stainless steel service for 12 with serving pieces. Never been used. In beautiful mahogany chest. New it was $460. Never been opened or played. 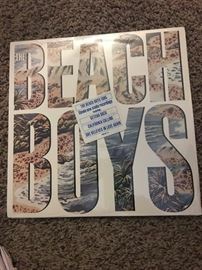 Beach Boys album. Dec 14, 1963 Commemorative Edition of Post Magazine after JFK Assassination. Boxes of old Life Magazines. Selling by the box. Truck bed liner and truck cab that goes on back. Sprayer designed to be pulled by a mower or tractor. 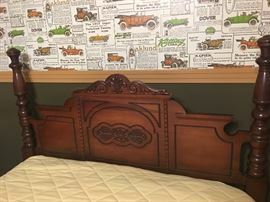 Rosewood Antique Victorian sofa. In mint condition. Stamp collection of stamps from all over the world. 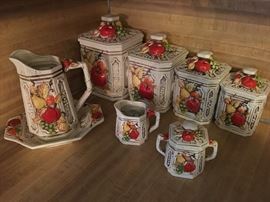 Date back to 1940's and 1950's. Stamp Collection featuring stamps from around the world, stamps of US Presidents and more. 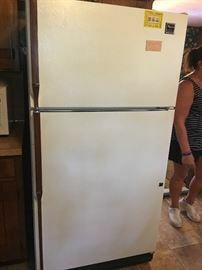 Upright Whirlpool freezer. In good condition. Child's toy chest from 1950's. 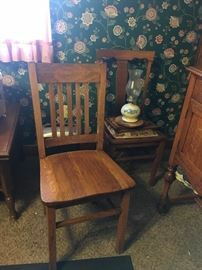 Singer sewing machine in desk with matching chair. 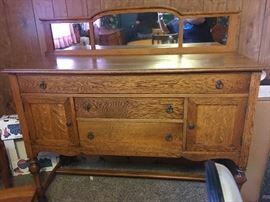 Antique dresser & mirror. Excellent condition. 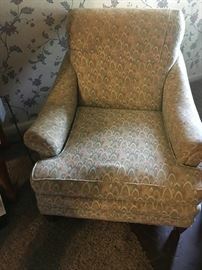 Cane seat & back rocker.